Hepburn Bastle, Chillingham. Photo by Northumberland County Council, 1992. The earliest evidence we have for human activity in the parish comes from the Mesolithic period. This was a collection of flints found on Hepburn Moor, but we have no evidence of any structures associated with these people, for example their homes or burial places. In the Neolithic people left enigmatic symbols in the rock, called cup and ring marked stones. More evidence comes from the Bronze Age when we have a range of upstanding monuments. At this time the first evidence of burials is found in the form of a burial cairn and added to this we also have evidence of early houses and settlements. These take the form of groups of hut circles that are loosely grouped together but not enclosed by a boundary bank. An example near Hepburn Crags also has a field system made up of a cairnfield and fragmentary banks, which define plots, or fields. In the Iron Age the type of settlement built in Chillingham changed in character becoming enclosed and more defensive. 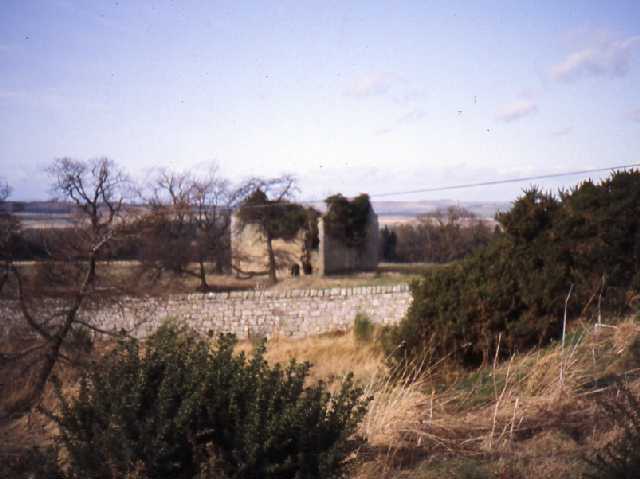 From the prominent camp of Ros Castle to the defensive enclosure on Hepburn Bell there was clearly a move to build enclosures defined by banks or ramparts. Some of these lie in striking positions on hilltops and are unquestionably built for defence, but others lie in more sheltered positions and may have been for corralling animals. Quite unusually, none of these settlements has any evidence of later Roman period settlement. Like many parts of Northumberland there are no monuments known from the early medieval period. It is only after the Norman Conquest that we can once again recognise remains of the past at Chillingham. Chillingham and Hepburn are two medieval villages known from documentary evidence to date back to the 13th century. Both were probably cleared away due to the creation of Chillingham Park but few earthworks survive to show exactly where they stood. Each village was associated with a defended building and a chapel or church. Hepburn Bastle and Chillingham Castle have their origins in the 13th century and 16th centuries and reflect the troubled nature of the Border regions of England and Scotland throughout the medieval and post-medieval periods. The development of Chillingham Castle in the 17th, 18th and 19th centuries was more in tune with that of a country house and reflects the growing peace and security of the region at this time. This also extended to the development of Chillingham Park, which, although it had been a deer park since medieval times, was adorned with lawns, terracing, avenues of trees and a parterre in the 19th century. At the same time, much of the village was rebuilt in the 1830s and many of the buildings are protected as Listed Buildings.